ZAIA is Cirque Du Soleil’s resident show at the Venetian in Macau (SAR) China. 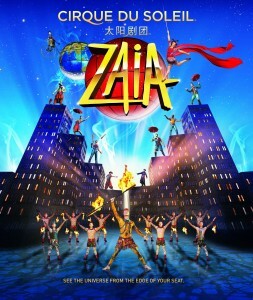 Macau, China – Just announced to the cast and crew of the Cirque Du Soleil show Zaia that it is closing in Macau and last performance date will be Feb 19, 2012. Official announcements are currently being made by Cirque publicly. Zaia opened as a resident show at the Venetian Macau resort and casino in September 2008. Cirque Du Soleil ZAIA Performance on China TV. This was a promo excerpt shot for Chinese television – it is not a live shot from the ZAIA theater in Macau. Cirque Du Soleil’s ZAIA show promotional video released September 2011. 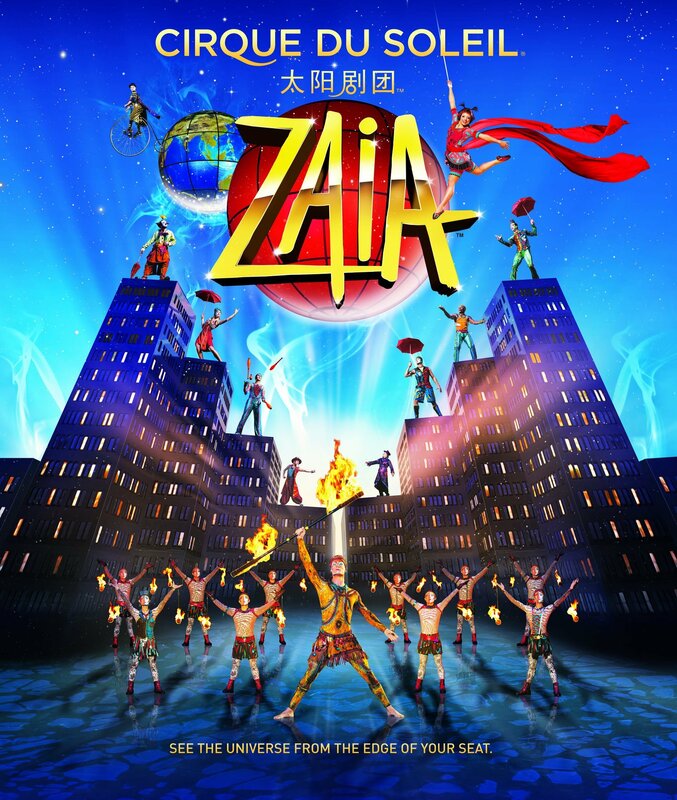 Zaia is the resident show that opened in August 2008 at the Venetian in Macau (SAR) China. Acts in the video include Straps, Trapeze, Hand to Hand, Gypsy, Skate, X Board, Aerial Bamboo, Lion Dance, Firedance and of course Zaia’s dragon. Music composed by Violaine Corradi. 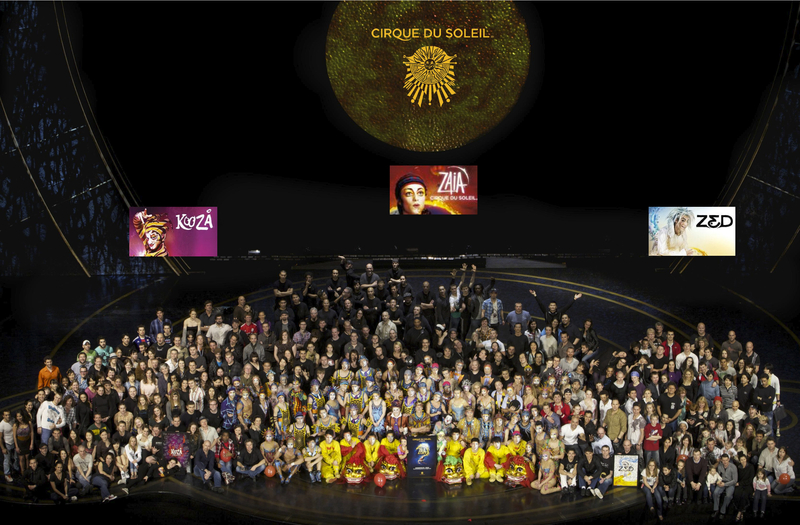 Sunday March 20, 2011 artists and techs from the Cirque Du Soleil shows ZAIA, KOOZA and ZED took a group photo on the ZAIA stage at the Venetian in Macau, China. We (the ZAIA crew) were happy to host them in Macau while they awaited updated reports on current events in Japan following the tsunami. We think that this is the first time three different performing casts from Cirque shows have all been together and shared the stage. You can click on the image for a larger view. I enjoy your blog. 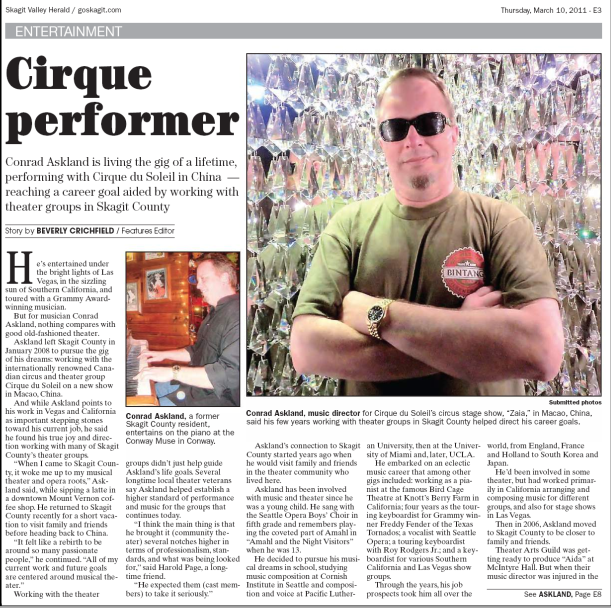 It’s a great chance for outsiders to get an inside look at what it’s like to be in a Cirque production. 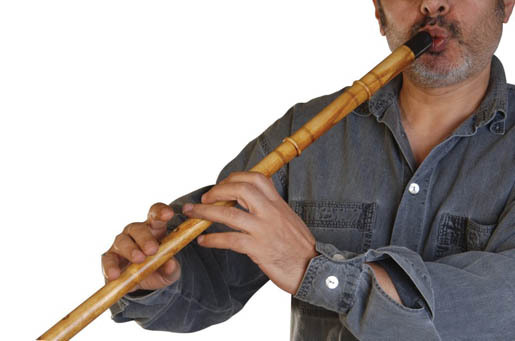 I write because I recently posted a video on Cirque’s Facebook Casting page and have two questions with respect to the use of various flutes in ZAIA. 1. How many different flutes are used in your current production? 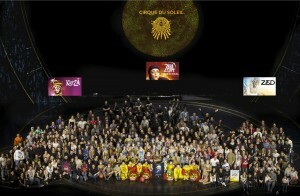 On Sunday March 20, 2011 the Cirque Du Soleil show ZAIA celebrated it’s 1,000th performance. The ZAIA cast had a big party at the Venetian casino in Macau along many of the artists and crew from the ZED and KOOZA shows. Here are some videos from Aomen (Macau) TV that I believe were released in December, 2010. 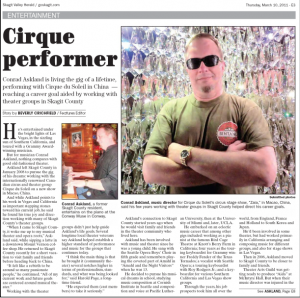 It shows behind the scenes talks with a trapeze catcher and artistic director in the ZAIA show. Hard to believe it’s been over three years since we began training in Montreal for the show. 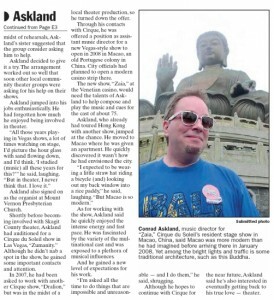 It’s been a very interesting time here in Macau, China! The article talks about the years I did music and theater in Mount Vernon, WA and Skagit County, USA before moving to Macao, China with Cirque Du Soleil. You can click on the images to enlarge and read. 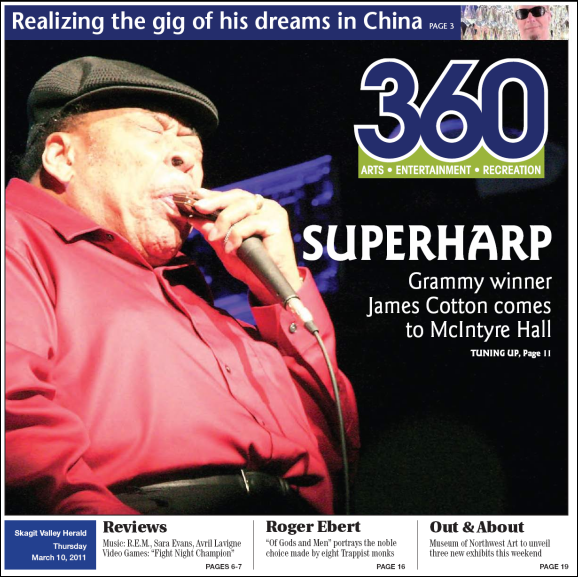 Below is front page of magazine insert. Cirque Du Soleil artists from the ZAIA show did a live television promo up in Hunan, China in late January 2011. It featured the acts of Straps, Skate and Hand to Hand. I don’t know how to embed that link because it’s from a Chinese website – but it’s there if you’d like to watch it. I’ve been told that the spot was seen by several million viewers in mainland China. November 2009 – The ZAiA Band plays live musical accompaniment for Cirque du Soleil’s ZAiA show. ZAiA is a multidisciplinary circus arts show about a young girl who travels through the universe to find love. Come to Macau and dream with us! Now playing at the Venetian Macau Hotel Casino and Resort. This video has clips from the Cirque Du Soleil artists of ZAIA starting in Montreal, Canada from January 2008 during training (and lots of snow!) to late 2009 backstage, and during rehearsals for the show at the Venetian in Macau (SAR) China. For us in the show the video is extremely emotional. Some of the people in this video are no longer with us in Macau. The time of ZAIA is one that all of us will remember and many of us will cherish. The experiences we had in China for many of us were not what we expected – they were experiences and adventures we could have never imagined; many good and some painful for each of us. I normally don’t get seen in videos or promo photos – so thank you to Olivier for getting me in there several times. Fun to see the musicians and how all of our looks changed from the beginning in Montreal to the journey in China. As our composer told us: “You all look more shiny.” I would agree. Cirque and China have allowed us to shine. I think this video will give a sense of closure to many of us for a slice of time we spent together – a “castle made of sand”. I am personally moved by the video in a way beyond words. Thank you to Maria and Olivier for this truly precious gift of song…. Here is a new video on the creation of Zaia. It’s a tribute to Zaia artists, and especially to Maria and the musicians. I asked Maria to compose a song for it, and she did it just before leaving Macau. These images can seem nostalgic in our situation, but the purpose of this video is only to highlight the strong and moving times we spent together; sharing sorrow and joy, as Maria says. It’s my way to say thank you to all of you, and to express my admiration of the amazing talent of every artist. And let’s remember, even if this adventure stops right now, our talents will continue to shine and spread over the planet. 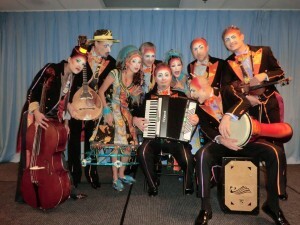 The ZAiA Band plays live musical accompaniment for Cirque du Soleil’s ZAiA show. 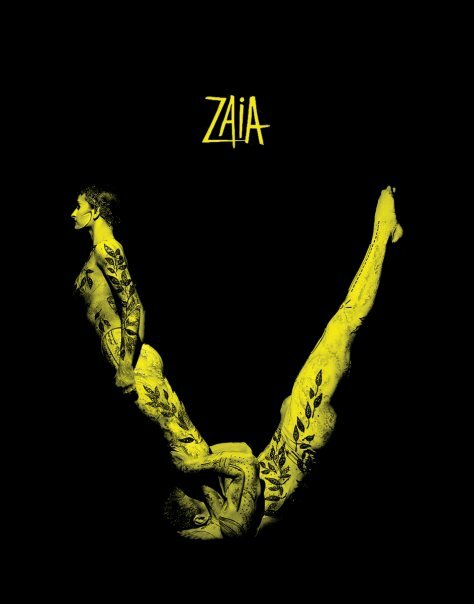 ZAiA is a multidisciplinary circus arts show about a young girl who travels through the universe to find love. Come to Macau and dream with us! Now playing at the Venetian Macau Hotel Casino and Resort. ZAIA press photo from the Hand to Hand act. Cirque Du Soleil in Macau (SAR) China. *Note – Some people from outside Asia have told me the video doesn’t stream well which is too bad. This video is a nice overview of the show with some artist interviews. 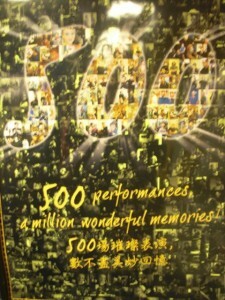 November 12, 2009 was the celebration for the 500th performance of the ZAIA show by Cirque Du Soleil in Macau, China. Cirque founder Guy Laliberte flew in for the performance and toasted the artists and crew. Family and friends were also invited for the occasion. 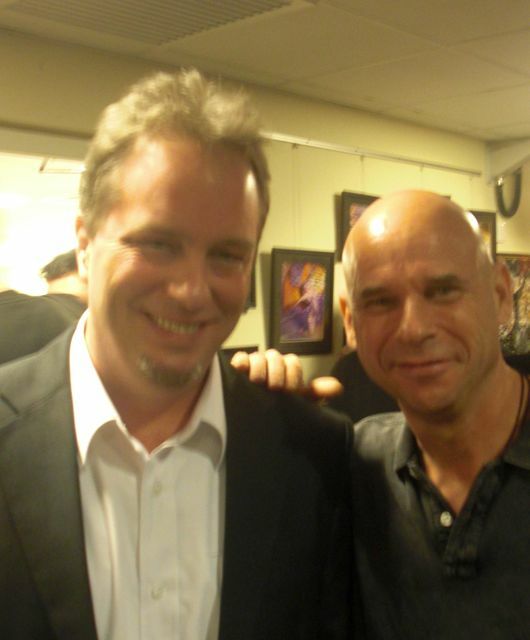 Conrad Askland (ZAIA keyboards and assistant bandleader) and Guy Laliberte. Happened to see this interview with Daniel Lamarre of Cirque Du Soleil and noticed the interview takes place in the Green Room of our ZAIA theater in Macau, China. It looks like they were still doing construction so I’m guessing this interview is from mid-2008 before the show opened. 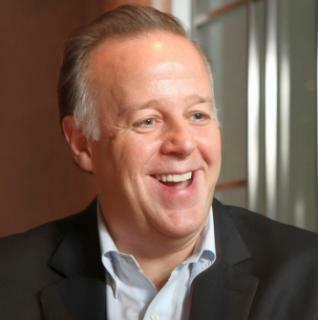 Here is another interview with Daniel Lamarre which I would guess is at the beginning of the 2008 recession where he talks about Cirque’s visions to navigate through that time. Zaia Behind the Scenes. Filmed in Macau, China October 2009.